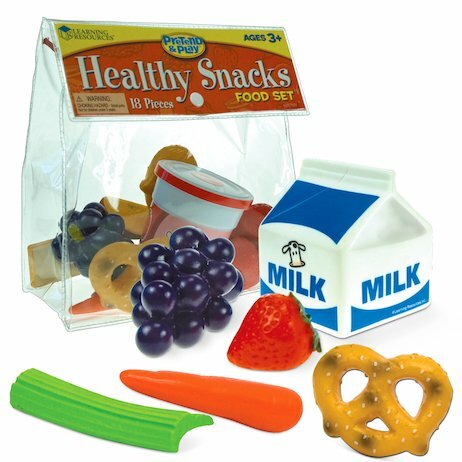 Encourage children to make healthy food choices with this 18-piece play set, which comes in a vinyl lunch bag for easy storage. Packed with delicious and healthy food choices, from strawberries and celery to milk and yoghurt, it’s great for lessons about nutrition and for all kinds of fun roleplay. Contents: 18 durable plastic play pieces supplied in a vinyl bag.